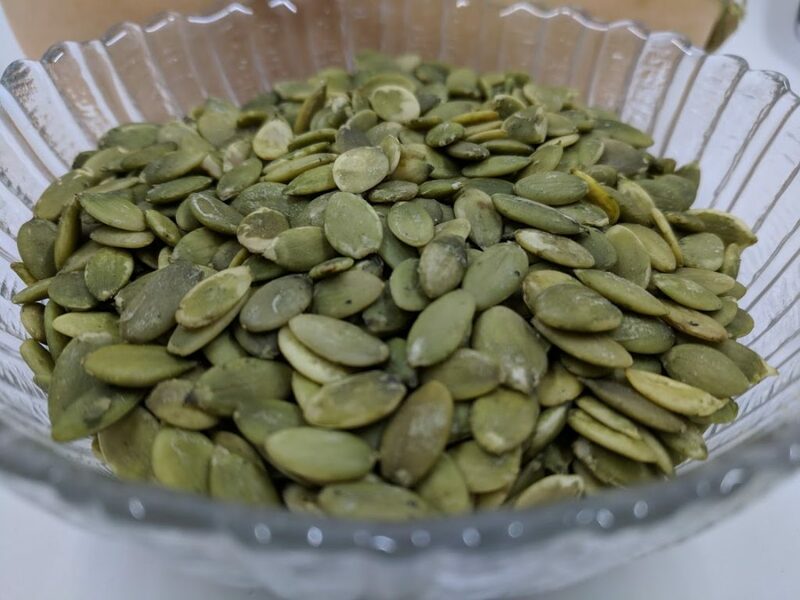 Pumpkin seeds are packed with lots of nutrients and they can be made into an awesome, yummy, and mess free snack for the road for children and adults. I buy the seeds in bulk, soak and dehydrate them and keep in a large glass jar with a lid. Soaking increases the bio-availability of minerals and reduces anti-nutrients like phytic acid. Phytic acid may contribute to tooth decay and poor absorption of minerals, so it is a good idea to reduce it by soaking (or sprouting and fermenting). 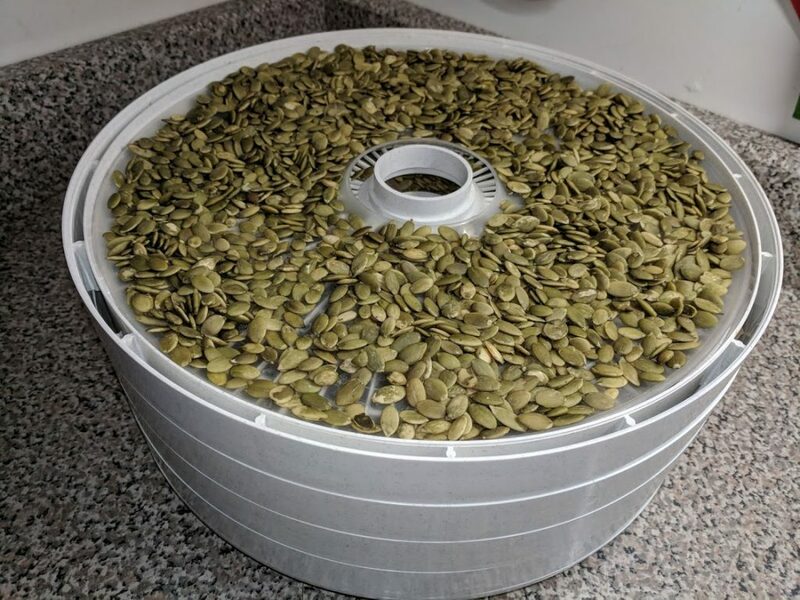 Dehydrating the seeds at a low temperature helps keep most nutrients intact. 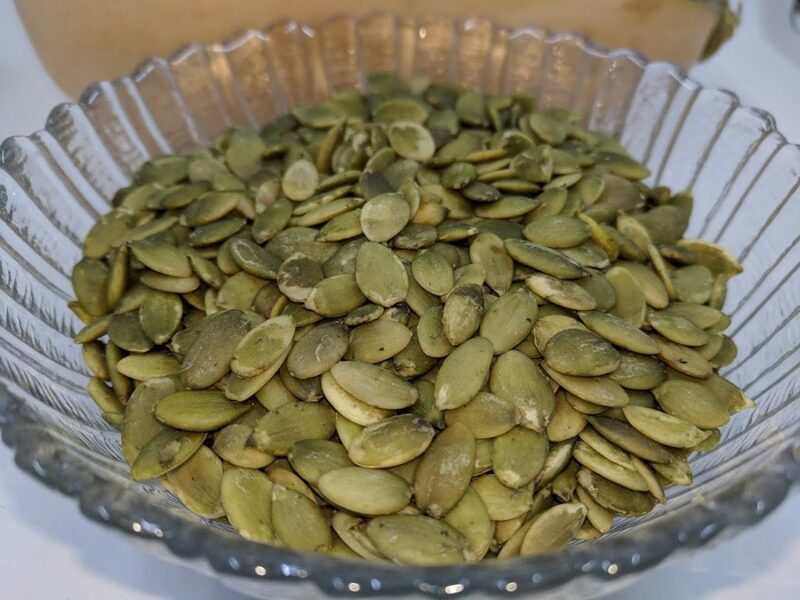 100 grams of dried pumpkin seeds provide about 592 mg of magnesium! That is about 148% of daily amount of magnesium for adults, which is exciting! 1-8 year old children need about 80-130 mg of magnesium a day, so they can benefit even from small amounts. Magnesium is essential for heart health and more than 70% of American people are reported to be deficient in it. Pumpkin seeds are also rich in manganese, phosphorus, copper, zinc, protein, and iron. How I make crispy soaked pumpkin seeds? I soak the seeds in filtered water adding some sea salt for 8-24 hours, then rinse once. After rinsing I sprinkle some more sea salt on the seeds for taste. Then I transfer the soaked and salty seeds to my dehydrator and turn it on. I set the temperature to 105 F and forget about it for about 24 hours. After that time I try them for crispiness. If not crispy enough I leave them drying in the dehydrator for more. When they are completely dry, they become super crispy. I transfer the dried crispy pumpkin seeds to a big glass jar and close the lid tightly to preserve the crispiness. If you don’t have a dehydrator, you can use your oven to dry them. I never dried mine in the oven, so can’t say for how long for sure. I would choose the lowest temperature available in the oven settings. 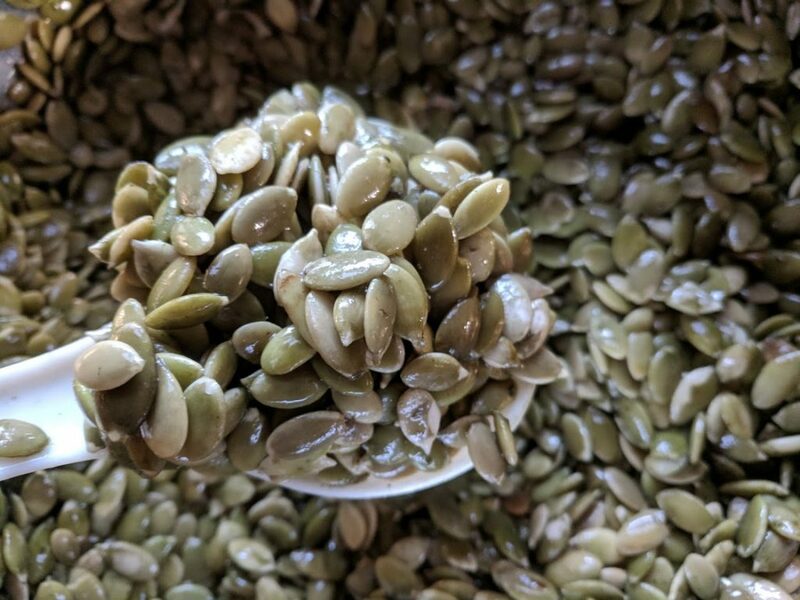 Soak pumpkin seeds in filtered water by adding 2-3 Tbsp of sea salt. Cover the lid and leave on the counter for 8-24 hours. Pour off the water in which seeds were soaked and add about 1-2 cups more of clean filtered water to rinse. Rinse only once. Sprinkle some fine unrefined sea salt on the seeds and mix. 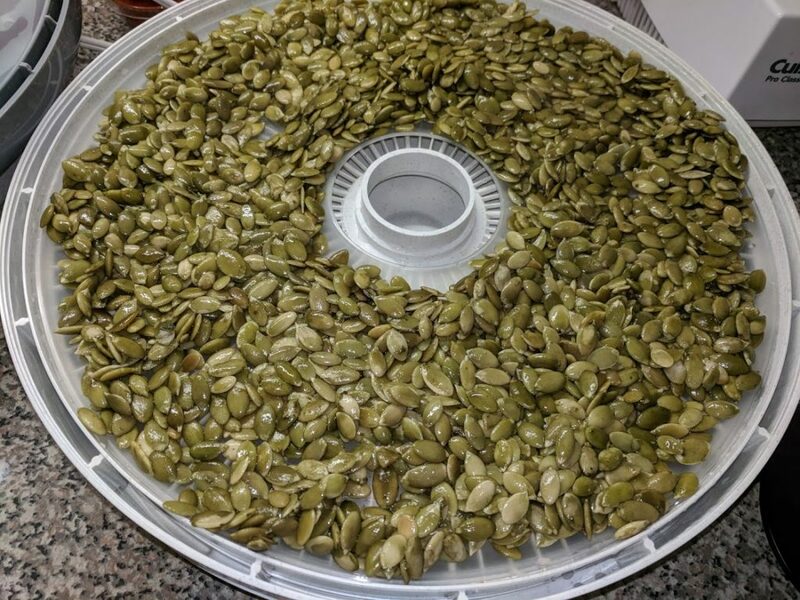 Spread the seeds on dehydrator sheets and set the temperature to 105 F. Leave drying for about 24 hours. Check. If still chewy, dry more. If crispy enough, then transfer to a glass jar and cover with a lid for storage. You can store on the counter, shelf, or fridge.